Texas categorizes property that is owned by a married couple as either community property or separate property. A court can divide community property in a divorce, giving a portion to each spouse, but separate property cannot be split in a divorce. Any property a spouse receives by gift or inheritance is separate property, regardless of when she received it. However, if the spouse who received the inheritance then commingles it with community property, it may become community property because it would be too difficult to separate from the community property. For example, if a wife receives a $10,000 inheritance and deposits it into the joint savings account she has with her husband, over time it may become impossible to determine where that money went. If you have a valid will that addresses all of your property, the terms of the will govern how your property will be distributed. Texas inheritance laws will not override the terms of your will. However, if you get a divorce but do not change your will, Texas law will void anything in your will that was in favor of your former spouse. If you want to leave anything to your former spouse, you must get a new will after your divorce. If you die without a valid will, Texas laws on intestate succession will determine who inherits your property. If you are married but have no descendants other than descendants with your surviving spouse, Texas law says your community property will go to your spouse. For example, if you and your spouse have one child together and no other children, your spouse will inherit all of your community property if you die without a valid will. If you are married and have descendants from another relationship, Texas law divides your community property in half if you do not have a will. Half of your community property will go to your spouse and half will go to your children from your other relationship. For example, if you die without a valid will while married to your second wife, any children from your first marriage would receive half of your community property while your second wife would inherit the other half. If you die without a will, Texas law will distribute your separate property differently than community property. Your separate real property — such as land — will be divided into two-thirds to your children and one-third to your spouse for the remainder of your spouse’s life. When your spouse dies, his third will go to your children. Your separate personal property — such as money or a vehicle — will be divided two-thirds to your children and one-third to your spouse. 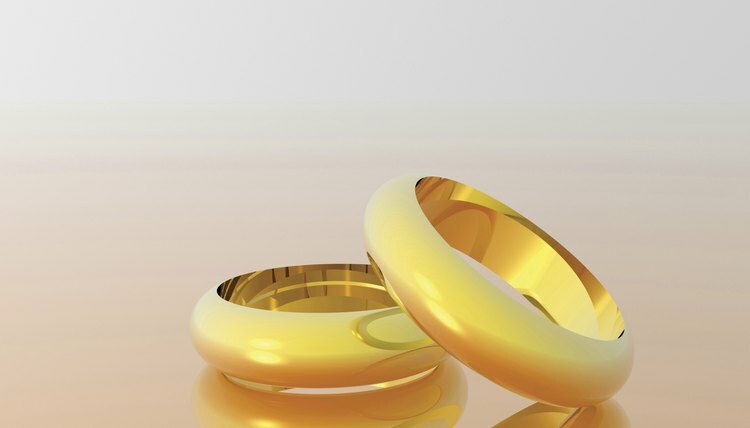 Even if you were never formally married, you may qualify as a spouse if you meet the requirements for a common law marriage, which Texas calls “informal marriage.” Informal marriages are established when a man and woman agree to be married and, after agreeing, live together in Texas and represent to others they are married. A declaration certifying the informal marriage can be filed if you wish to document the marriage. Spouses married by informal marriage have the same rights to inheritance as spouses married by formal marriage. TheProbate: Can a Husband or Wife Inherit After a Divorce?